Keep at least 1 well stocked first aid kit accessible in the home and car. Keep your Medicine Cabinet well stocked, too. Check out this list of 10 Must Have Items For Every Parent’s Medicine Cabinet. Teach children to stay away from the grill even when not in use, it can stay hot for hours afterward. Be sure to check that everything has been cooked appropriately. Check inside temperatures when grilling meat, fish, and chicken. When picnicking outdoors, be careful not to leave out foods that require refrigeration and/or foods that can quickly spoil. 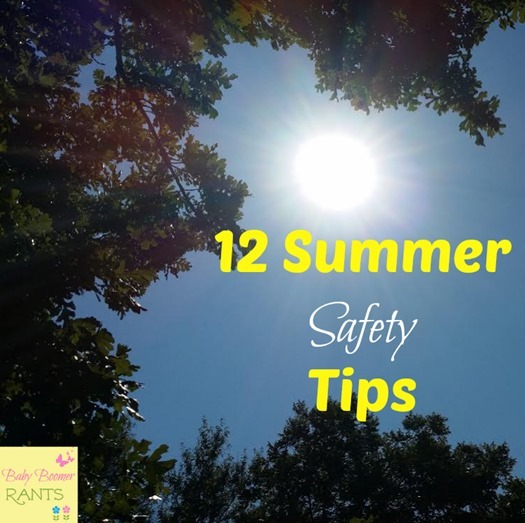 What are your best summer safety tips?